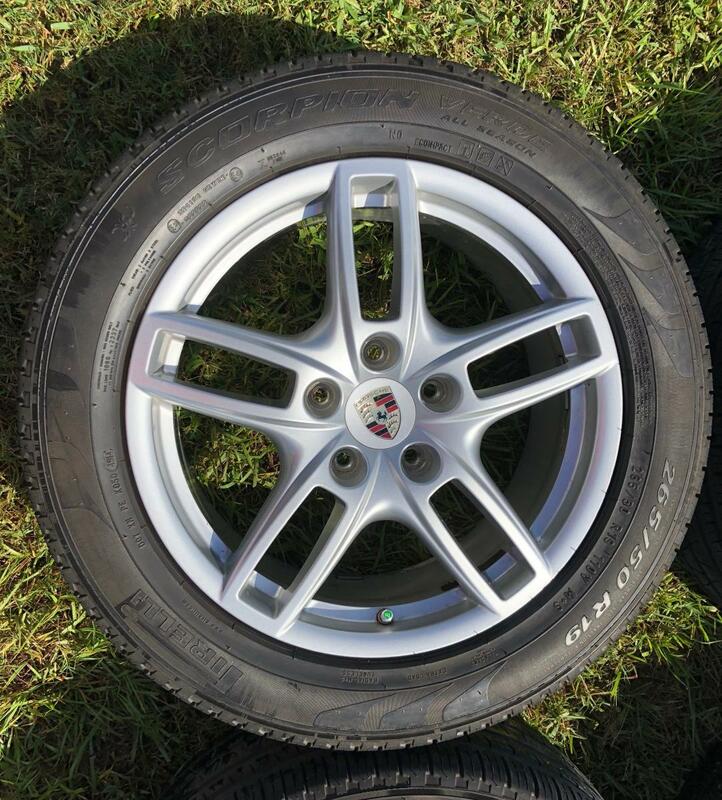 Im cleaning out my garage and have a set of 5x130 OEM 19"x 8.5" 2011 - 2016 Porsche Cayenne Turbo Wheels, Tires, TPMS and lugs. 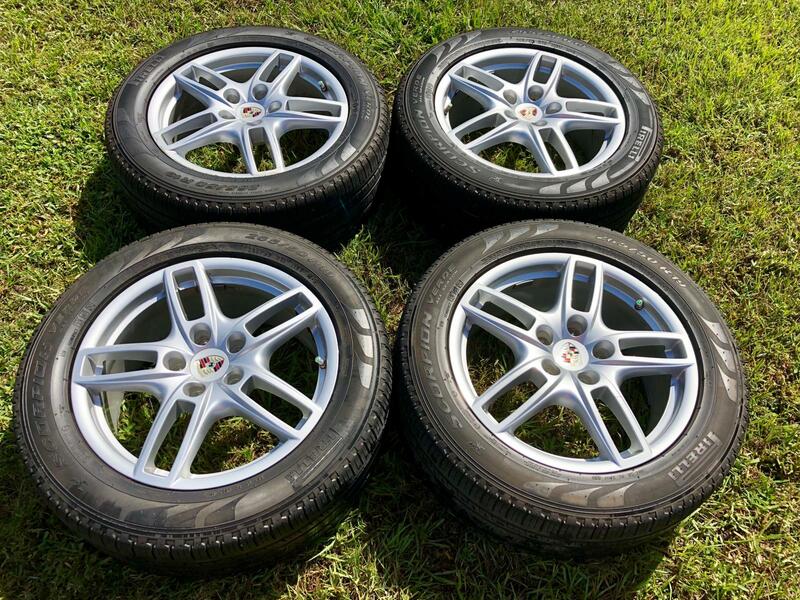 The wheels are used and 3 are in really good shape. 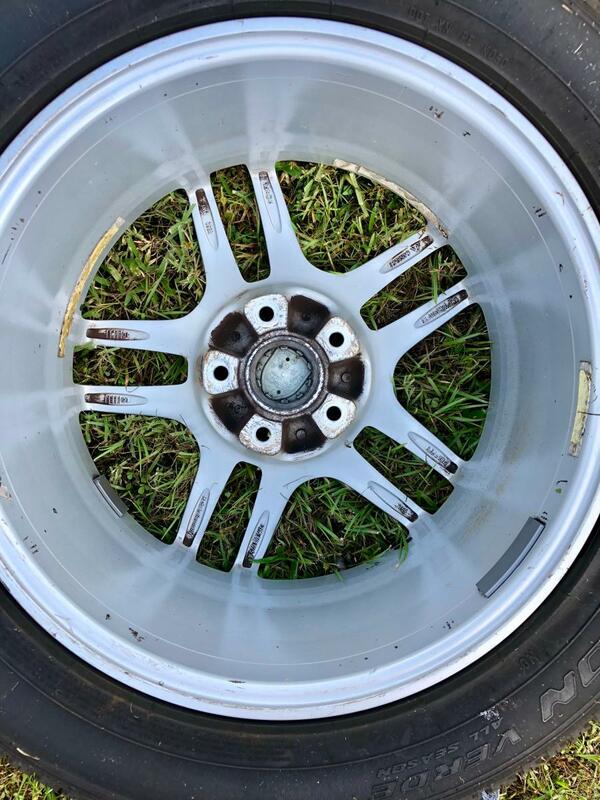 The fourth wheel has some curb rash as seen in pics. 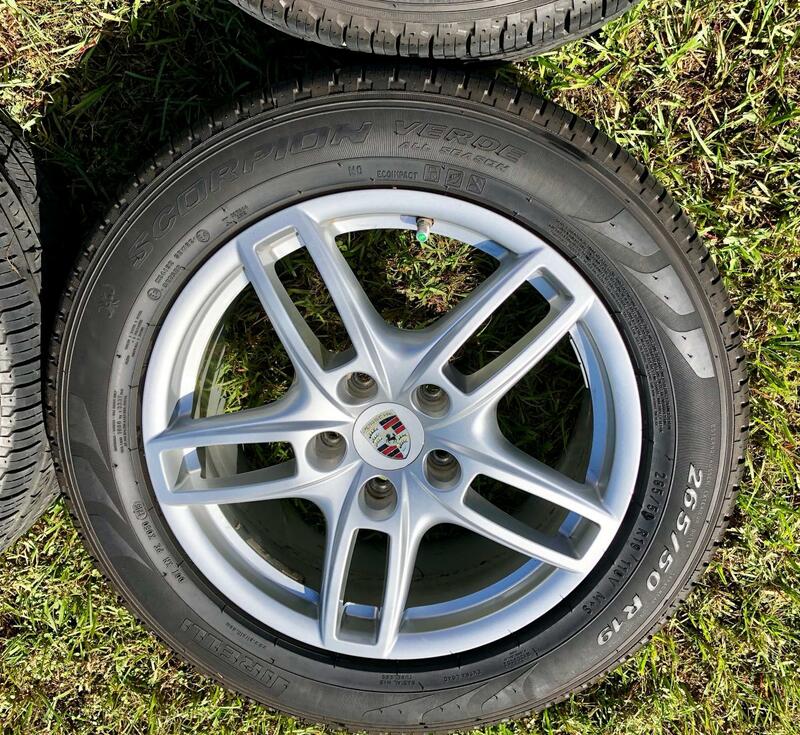 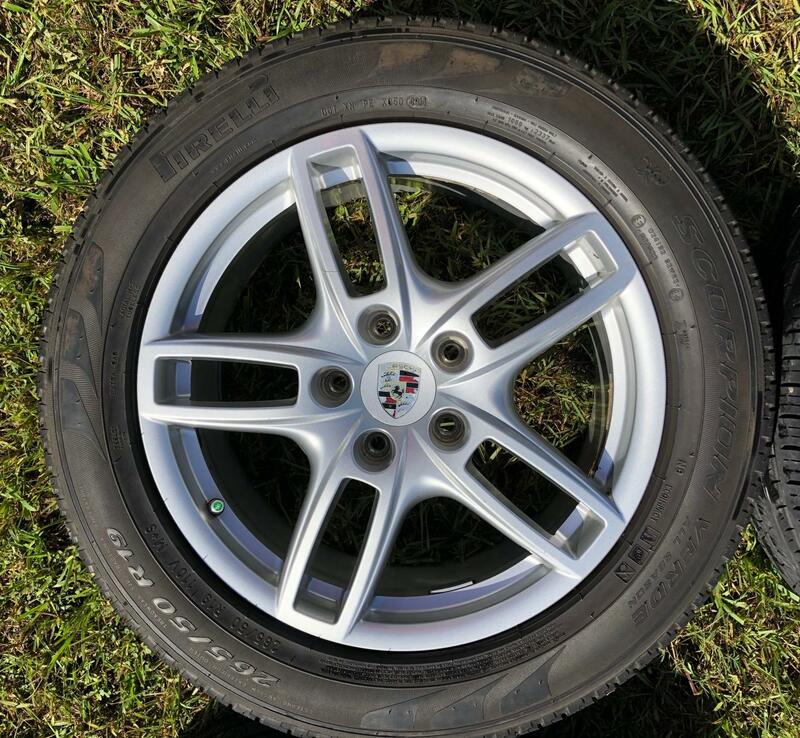 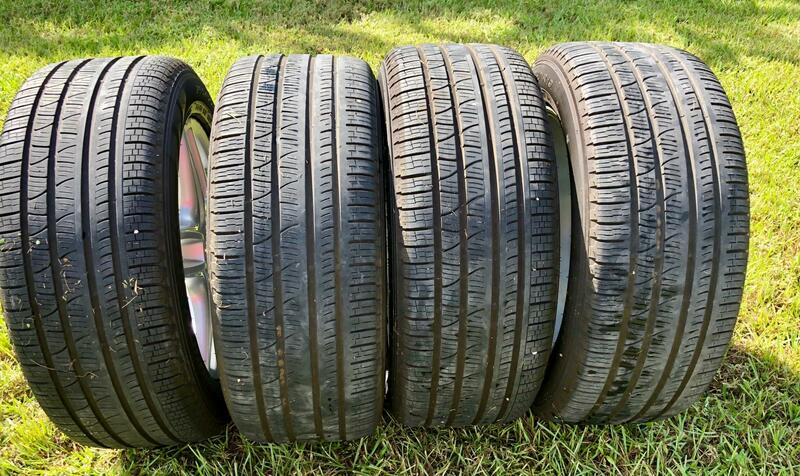 These Pirelli tires come with 11/32nds brand new, so these tires have 70% +/- tread remaining. 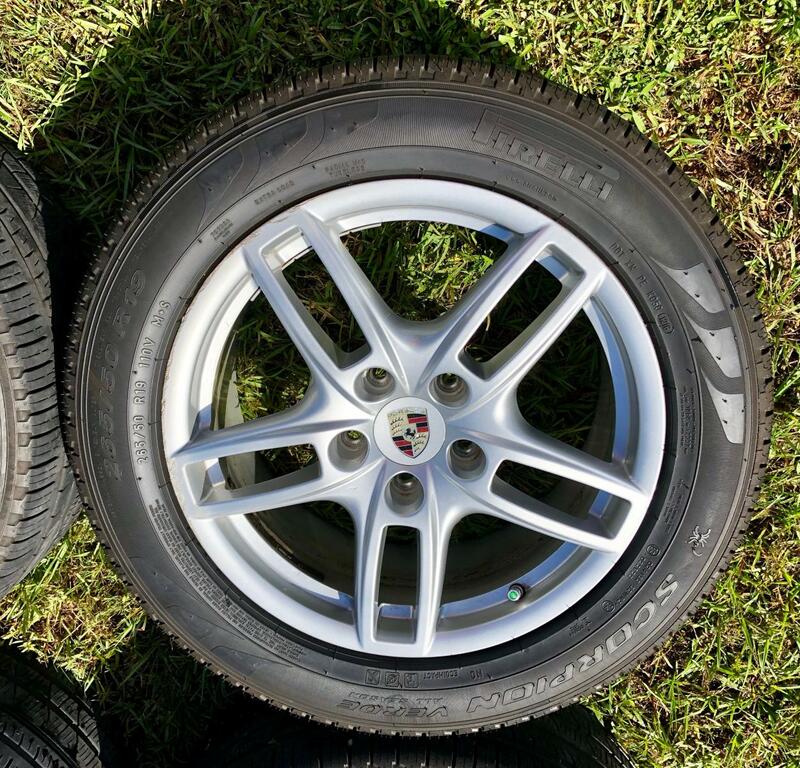 Reduced to $900 picked up in Estero, FL.